Great starter home. Low maintenance vinyl siding, newer roof, covered patio and attached 1 car carport. Large bay window in great room and beautiful swirled ceiling. 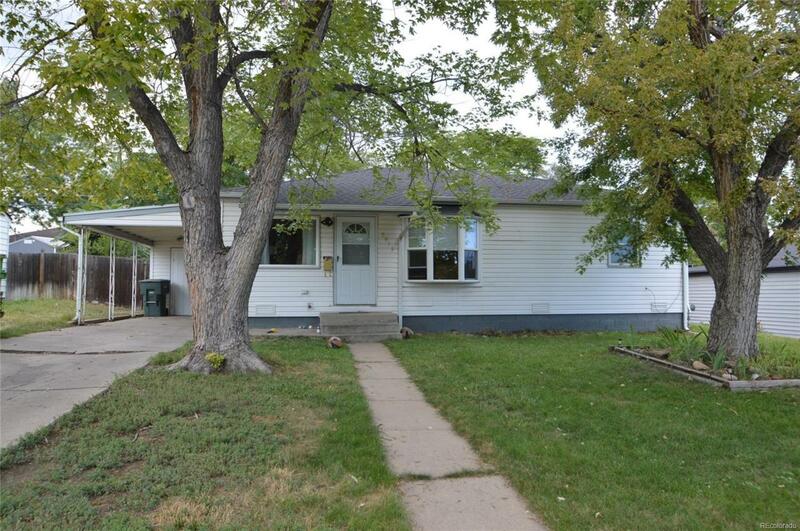 3 bedrooms with two full baths, including Master Bedroom with spacious (15 ft x 8'ft) 5 piece Master Bath with jetted tub. Master Bedroom has french doors to back patio. Nice size laundry room with gas dryer and pantry shelving plus pet door to fully fenced private backyard. All appliances included. Has evaporative cooler as well. Offered by Cobalt Realty Ltd.